I repost here information on the forthcoming Japanese Performance Theory Workshop at University of Michigan, organized by Prof. Reginald Jackson. This looks like a wonderful chance to start thinking about how we could build bridges between the scholarship on Japanese theatre, often based on a literary/historical approach, and the rich variety of methodologies that have become common practice in contemporary performance studies. 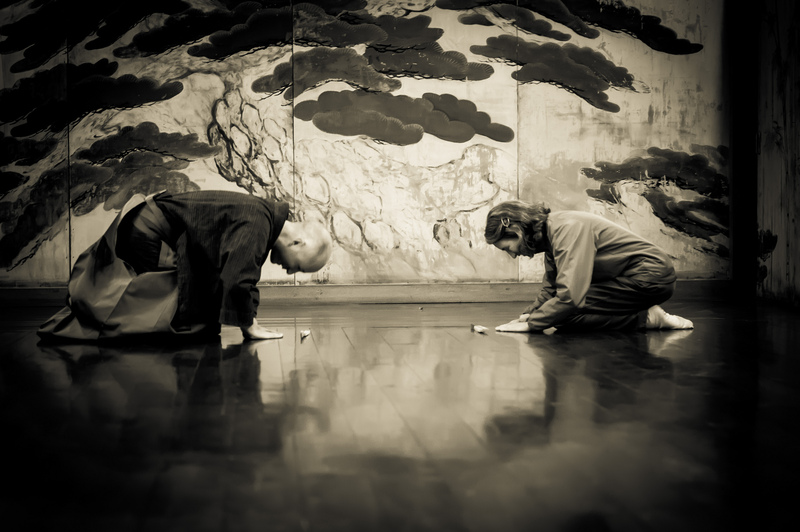 The Japanese Performance Theory Workshop (JPTW) intervenes between Japanese Studies and Performance Studies to foster generative critical engagements with Japanese performance. Through seminar-style discussions, performance screenings, research presentations, and writing exercises, this intensive week-long summer workshop will help participants working on Japanese performance at the undergraduate, graduate, and faculty levels develop better conceptual, methodological, and pedagogical tools. At a basic level, the JPTW represents an experiment designed to address a few overlapping gaps. The initial idea for this residential workshop emerged several years ago, mainly out of frustration with a prevailing conservatism in the study of Noh drama within the Japanese academy especially. The theoretical and methodological worldliness that often characterized literary study of premodern and modern narratives did not obtain for some sectors of the academy devoted to “traditional Japanese theater.” It felt like there was a wealth of fascinating material being underserved by painstakingly informative but unduly positivistic approaches. What if there was a way to energize that material along different lines? There also seemed to be a gap between conceptually vibrant performance studies scholarship that dealt mainly with modern and contemporary western forms, on the one hand, and historically astute but conceptually dilute work on traditional Japanese performing arts, on the other. Performance Studies programs tend to neglect East Asian performance traditions, while studies of East Asian performance—of the premodern era, in particular—tend to lack theoretical rigor. 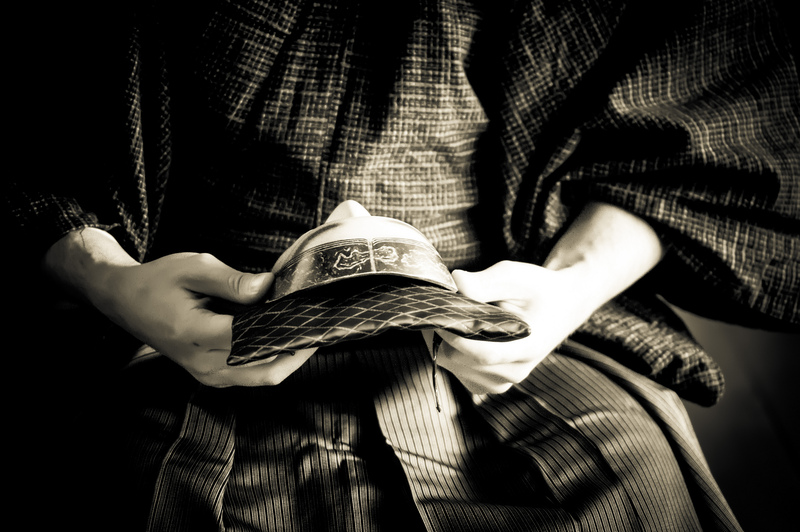 While there exist intensive summer opportunities for students of various academic and artistic backgrounds to study Japanese performance traditions, both in the U.S. (e.g. the Noh Training Project) and in Japan (e.g. the Traditional Theater Training Program), there are no comparable opportunities for university students and faculty to study Japanese performance with an emphasis on strengthening conceptual approaches to it and analytical writing about it. Given these circumstances, the basic aim of the JPTW will be to provide a venue in which to study Japanese performance practices and critical theoretical approaches to Japanese performance in relation to one another within the context of an intensive summer workshop. JPTW is a residential summer workshop that focuses on improving engagements with Japanese performance and performance theory. The program will host advanced undergraduates, graduate students, and faculty (five each), working across fields such as performance studies, Japanese literary and cultural studies, ethnomusicology, visual arts, dance studies, and creative writing. To the extent that a rigorous engagement with Japanese performance need not require Japanese language skills or a performance background, neither of these is required for admission to the program. Indeed, this background can often inhibit more adventurous interpretations. Along these lines, the JPTW will maintain a critical stance toward prevailing notions of expertise and will explore forms of producing knowledge that do not adhere strictly to either an Area Studies model or a practice-based model. A wonderful series of Noh events coming up in London! Noh originated in the 14th century and has been performed continuously since, making it among the oldest unbroken performance traditions in the world. Noh’s aesthetic concepts, unique musical rhythms and tempos influenced many Western artists in the 20th century, including Benjamin Britten. This two-day festival explores the art of Noh, which continues to inspire many practitioners across diverse art forms. King Place continue their collaboration with Akiko Yanagisawa of mu: arts in presenting some of the foremost Noh performers from Japan to the UK. These performers, all of whom are recognised as intangible cultural assets by the Japanese Government, will be joined by innovative British artists at the cutting edge of the UK’s vibrant interdisciplinary arts scene. The festival’s aim is to communicate the essence of classical Noh and explore how its distinctive aesthetic and musical textures have become valuable resources for the contemporary visual, musical and theatrical arts. Yakult, Daiwa Anglo-Japan Foundation, Great Britain Sasakawa Foundation, The Japan Foundation, Arts Council England and Arts Council Tokyo generously support the Noh Reimagined Festival. • Highlights from the popular classical Noh repertoires including Tenko, Takasago and Toru performed by pre-eminent Noh artists from Japan, such as Yoshimasa Kanze (main actor-dancer) and Yukihiro Isso (Nohkan flautist and accomplished improviser). • ‘Evan Parker Meets Noh’ A ground-breaking collaborative improvisation with the renowned saxophonist Evan Parker and Noh musicians, combine for an evening of virtuoso improvisation. • ‘Masking and Unmasking: Noh Theatre as a Strategy in Contemporary Art and Performance’ explores the place of Noh in contemporary visual arts and performance, starting with a screening of Turner Prize winner Simon Starling’s ‘Project for a Masquerade (Hiroshima)’. This is followed by three collaborative performances and a panel discussion featuring Ignacio Jarquin, Andrew G Marshall and Michael Finnissy, Ami Skånberg Dahlstedt and Palle Dahlstedt, as well as David Toop and Wiebke Leister exploring the psychological and aesthetic significance of voice and face-masks in Noh. • Premieres of new works for Noh instruments by Andrew Thomas and Nicholas Morrish-Rarity, who have collaborated with Noh musicians on the Sound and Music Portfolio programme over the past eight months. • ‘Noh Remixed’ Award-winning composer/turntablist Mariam Rezaei premieres OM, a live remix of traditional Noh stories exploring experimental improvisation in live performance, with electric guitarist Adam Denton and Noh performers. • ‘Cross-cultural Collaboration and Contemporary Music’ A panel discussion with composers Nicola LeFanu, Ruth Fainlight and Sound and Music Portfolio composers chaired by Richard Whitelaw, Director of Programmes at Sound and Music. • ‘Movement in Noh: The Dynamism of Stillness’ A workshop in which participants will learn to focus their inner energy through the highly stylised movements of Noh. • ‘Music of Noh’ A workshop offering insight into the unique features of Noh music, which consists of chant and song accompanied by the Nohkan flute and three drums to create a distinctive sense of ‘ma’ (or ‘space’). • ‘Knowing Noh’ An introductory talk by eminent Noh practitioner Professor Richard Emmert. Noh flute master Fujita Rokubyoei is giving a workshop Royal Holloway University of London, where I did my PhD. This is a great chance for those of you who are in the London area to learn about noh music from one of the top-ranking performers in Japan. Royal Holloway has a great space for noh performance that has been neglected, and I am pleased to see the Noh Training UK project is making very good use of it. The workshop takes place on Thursday 25 February 2016 and is FREE of charge. If you can’t go, you can still enjoy this video of Fujita-sensei playing the jo-no-mai music for a slow tempo dance. On Sunday 21st April I led a Noh theatre workshop for foreigners at the HUB Kyoto, Kyohakuin. It’s been a wonderful experience and a great chance to meet foreigners who share an interest in Noh and who are willing to try their best with Noh utai chant and shimai dance. Kyohakuin is an ex-school featuring a Noh stage which was not used for several decades. Recently the kagami-ita backdrop pine tree has been restored by Kim Hea-Kyoung and Ichimiya Keiko, and the participants of this workshop as well as myself had the privilege of dancing the shimai Oimatsu (‘Aged Pine’) in front of the renovated pine tree for the first time. Teaching absolute beginners is a very instructing experience for the teacher, too. Teaching a full, albeit brief, dance to people who never even walked the suriashi sliding step is very challenging, yet I find fascinating how all participants identify dance elements differently and focus on various parts of the dance according to their own decoding tools and processes. Photographer Stéphane Barbery joined us and took the awesome picture you see on this post. Stéphane has a long-term project on Japanese traditional arts, and has photographed a number of Noh professionals so far. You can check his work on his Flickr account here. THANKS to Lucinda Cowing and Eri Suzuki of the HUB Kyoto for helping organise and promote the event: I very much enjoyed this workshop and I am looking forward to the next one! 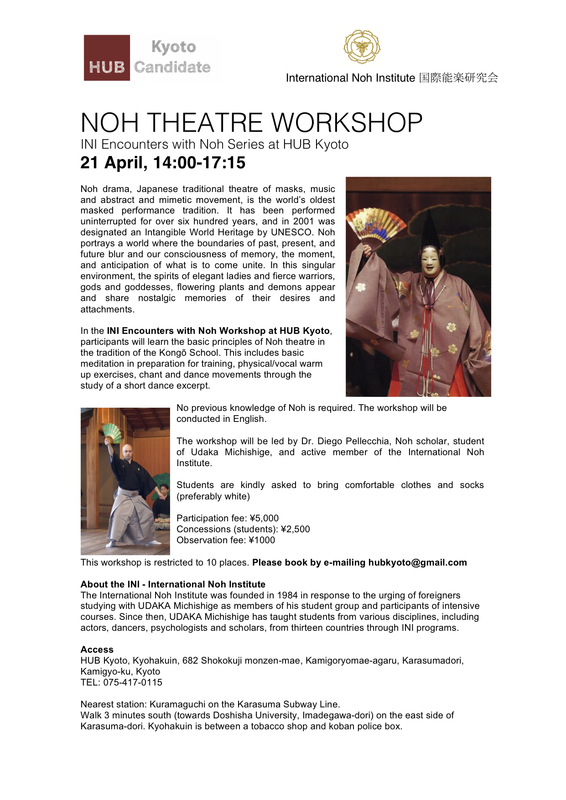 On Sunday 21st April the INI International Noh Institute will hold a Noh workshop at the HUB Kyoto, Kyohakuin (see below for details & directions). Noh drama, Japanese traditional theatre of masks, music and abstract and mimetic movement, is the world’s oldest masked performance tradition. It has been performed uninterrupted for over six hundred years, and in 2001 was designated an Intangible World Heritage by UNESCO. Noh portrays a world where the boundaries of past, present, and future blur and our consciousness of memory, the moment, and anticipation of what is to come unite. In this singular environment, the spirits of elegant ladies and fierce warriors, gods and goddesses, flowering plants and demons appear and share nostalgic memories of their desires and attachments. In the INI Encounters with Noh Workshop at HUB Kyoto, participants will learn the basic principles of Noh theatre in the tradition of the Kongō School. This includes basic meditation in preparation for training, physical/vocal warm up exercises, chant and dance movements through the study of a short dance excerpt. No previous knowledge of Noh is required. The workshop will be conducted in English. The workshop will be led by Dr. Diego Pellecchia, Noh scholar, student of Udaka Michishige, and active member of the International Noh Institute. The International Noh Institute was founded in 1984 in response to the urging of foreigners studying with UDAKA Michishige as members of his student group and participants of intensive courses. Since then, UDAKA Michishige has taught students from various disciplines, including actors, dancers, psychologists and scholars, from thirteen countries through INI programs. Nearest station: Kuramaguchi on the Karasuma Subway Line. Walk 3 minutes south (towards Doshisha University, Imadegawa-dori) on the east side of Karasuma-dori. Kyohakuin is between a tobacco shop and koban police box. Today I helped Udaka Norishige one of my teacher’s sons, with a Noh workshop at Iori Machiya in Kyoto. I don’t know much about the background of the workshop itself, as I only came upon request of Norishige-sensei, and my only duty was that of interpreting. The group of 18 people who participated to the workshop was mostly composed of Israeli and British citizens. Some of the Israeli participants were actually members of the Cameri Theatre of Tel Aviv, where director Ninagawa Yukio is currently working on an adaptation of the Trojan Women with a mixed Israeli-Palestinian-Japanese cast. At the end of the workshop, which was very well received by the enthusiastic participants (we were flooded with questions!) Udaka Michishige danced a shimai, while Norishige-sensei and I sang as a small chorus. The piece was Yashima, which I also recently performed in Matsuyama. The Noh Yashima (second category, warrior plays) tells the story of the homonymous battle that took place in the late 12th century at Yashima Island, (present Takamatsu City, Kagawa Prefecture). Yashima is one of the most important battles of the Genpei War between the rival Minamoto and Heike clans. In Yashima the ghost of General Minamoto no Yoshitsune appears in front of a travelling monk and re-enacts various phases of the battle. Although the play Yashima is one of the three kachi-shura or ‘winning Noh’ (the other two being Tamura and Ebira), the tone of the play is far from being celebratory of the Minamoto victory. Death and killing is on both sides and as the chorus describes how, end of the battle, warriors scatter away like seagulls, while the ghost of Yoshitsune disappears in white foam, as the wind sweeps the desolate battlefield. I wanted to write more in this post but I think I have actually said enough. Today I did my best. Il Noh è considerato tra le espressioni più alte della discipline giapponesi. I suoi movimenti, spazianti dalla lentezza dei Noh lirici alla velocità dei Noh dinamici, sono in grado di comunicare energia e dinamismo sia a chi è sul palcoscenico che agli spettatori. L’ignoto, l’invisibile e l’interiorità sono invitati a manifestarsi. L’attore deve farsi carico di questo compito attraverso la precisione di un movimento memorizzato e interiorizzato fino a poter agire al di là della consapevolezza. Allora si scopre una totale libertà, dove i confini tra attore, spazio scenico e spettatore sembrano essere aboliti. Saranno studiati i kata ed il canto di una danza shimai. Il caratteristico passo scivolato, il respiro, l’emissione della voce e l’uso del ventaglio, il cui significato è tutt’altro che ornamentale, consentiranno di associare i movimenti ad immagini poetiche suggerite dal testo. Una documentazione tecnica ed illustrativa sarà a disposizione dei partecipanti durante lo stage.